Motorola on Monday introduced the first Android phone to run on push-to-talk iDEN networks from Sprint Nextel and Southern Linc. Phones running on iDEN networks are typically utilitarian devices used in construction or similar industries. While the Motorola i1 was built to withstand rough use, it also has a big touchscreen and looks similar to many other smartphones. IDEN is a proprietary technology invented by Motorola that offers phone users an instant talk feature similar to walkie talkies. The i1 meets a military specification called 810F, meaning it is resistant to blowing rain, dust, shock vibration, extreme temperature, salt fog, humidity and low pressure. But it has other features more typically found in mainstream smartphones, including a 5 megapixel camera, Bluetooth, a microSD memory card slot, a music player and Google mobile services such as Gmail, Google Maps and Google Talk. It will come preloaded with the Opera Mini 5 browser and has a 3.1 inch screen. Users will be able to download applications from the Android Market. 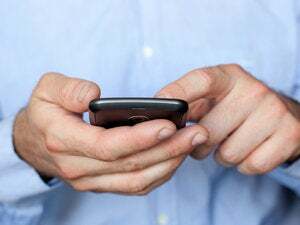 The phones will also include Swype, a new technology designed to allow users to type messages quickly using on-screen keyboards. The technology, developed by a Seattle company, is appearing on more and more smartphones. The i1 has a couple of downsides. It runs Android 1.5, an older version of the software, which now has three more recent updates. In addition, the iDEN networks only support relatively slow data rates. For Web browsing and other heavy data applications, users will have to rely on Wi-Fi. The phones will become available on both networks in the second quarter. Pricing information has not been released.